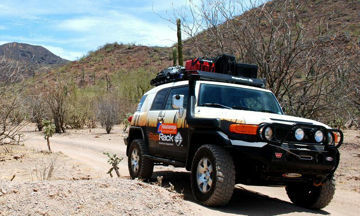 BajaRack was created as a rugged solution for the adventurer that likes to go beyond the trail. Our equipment gives you the ability to safely and in style transport your gear to its destination. 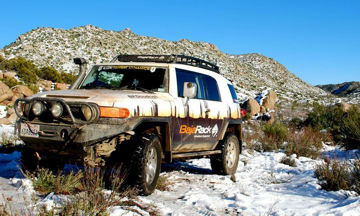 Like many companies, BajaRack started with engineers that like the outdoors and the challenge of the many climates Baja offers. Tired of buying equipment that would break under Baja’s extraordinary conditions, we decided to build our own equipment that would withstand one of the most outrageous races in the world – the Baja 1000. Based in San Diego, California, with its sole manufacturing plant located in Ensenada, Mexico, all products are designed using the latest CAD tools and manufacturing equipment. Our philosophy is quite simple – to offer our customers the best products in the market that they will enjoy and be proud of owning for many years. We put ourselves in the customer’s shoes. This is why we spend valuable time engineering our products and listening to our customers’ suggestions. Toyota FJ Cruiser rack (2007-2017) , measurements 48" wide x 82" long x 5" tall (This rack comes as one piece). Finish Epoxy primer with black powder coating. All mounting brackets included. 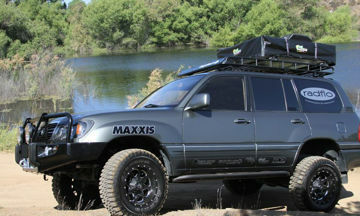 This standard rack will add much needed cargo space to your vehicle to tackle your adventures. 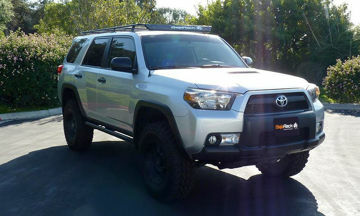 Toyota 4Runner Gen 5 Utility flat rack (2010-2017) , measurements 91" long x 46" x 1.5" tall ( one piece construction). This rack comes with mesh flooring and a sunroof opening. Finish Epoxy primer with black powder coating. All mounting brackets included.